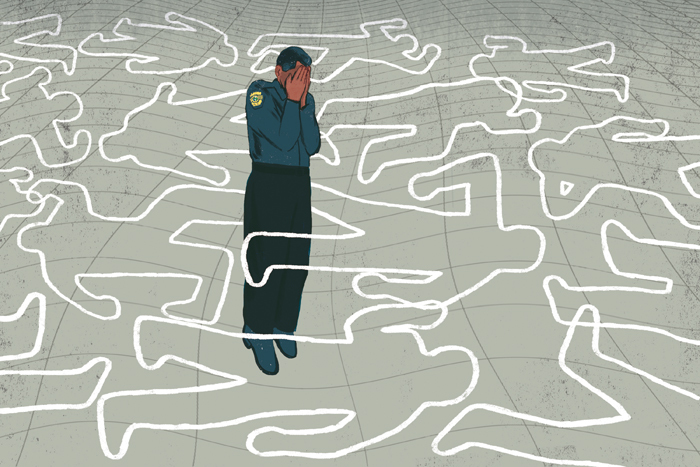 New illustration for Propublica. “Five first responders to the Pulse massacre. One diagnosis PTS” by Abe Aboraya.